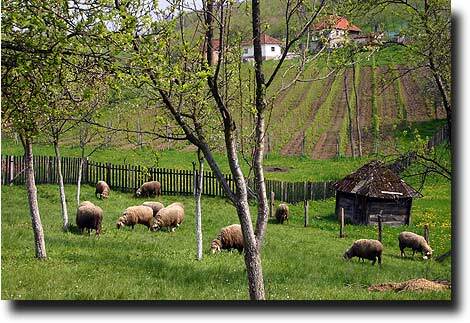 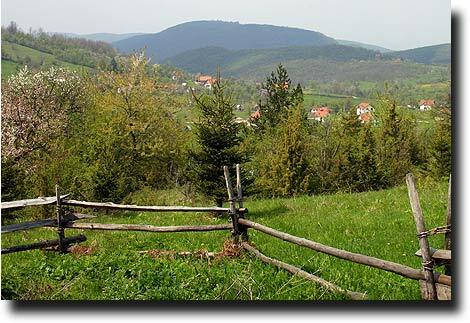 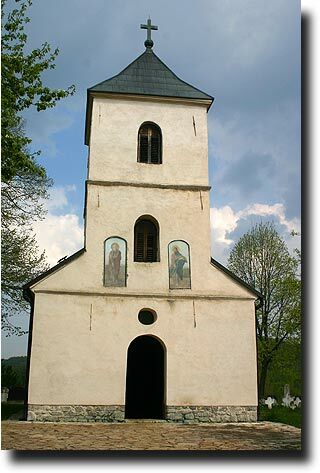 Susan took a solo weekend in the spring of 2006 to the village of Sirogojno. 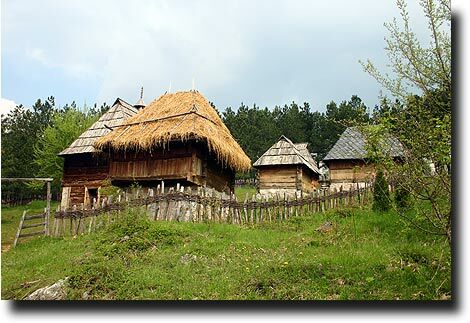 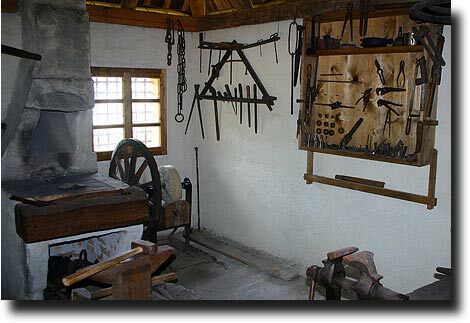 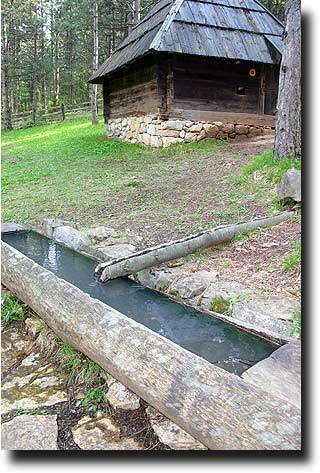 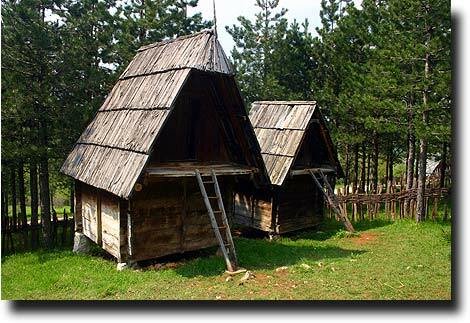 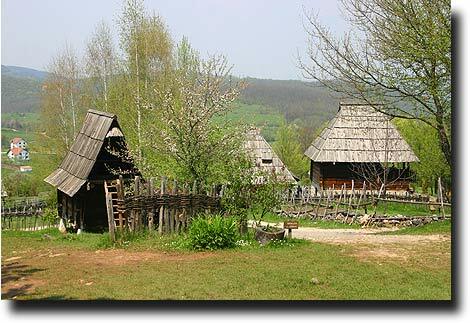 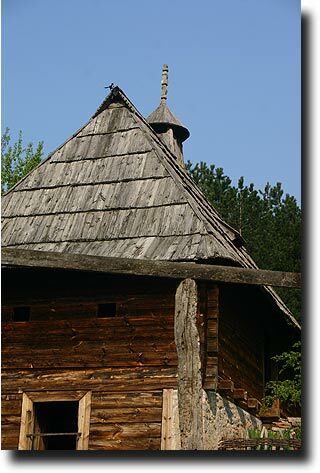 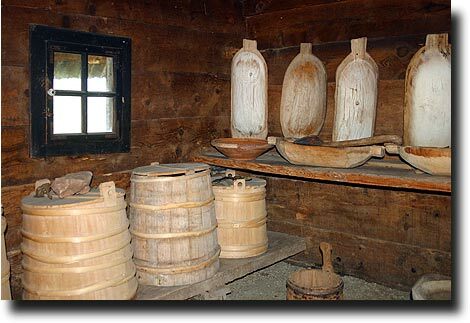 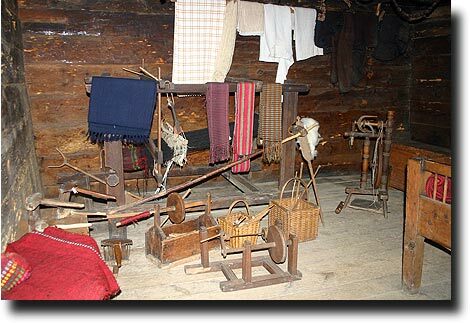 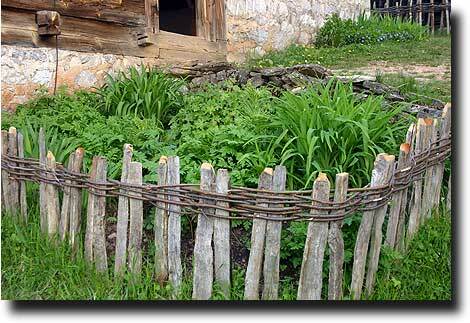 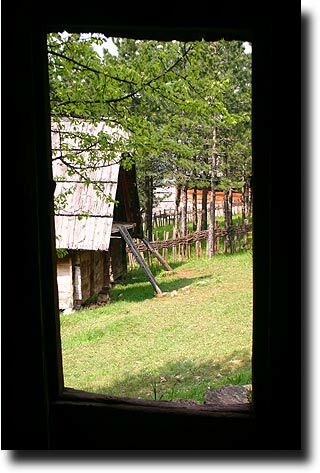 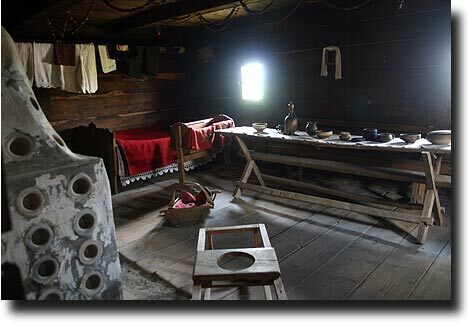 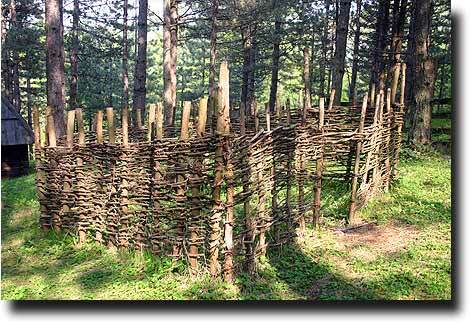 Set in the peaceful mountains southwest of Belgrade near Montenegro and Bosnia-Herzogovina, it is a place designed to reconstruct Serbian life in the 19th century. 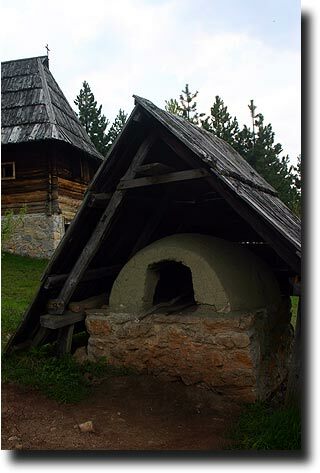 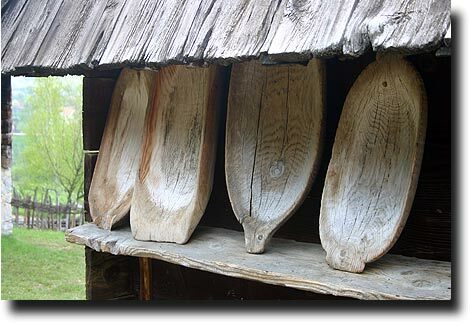 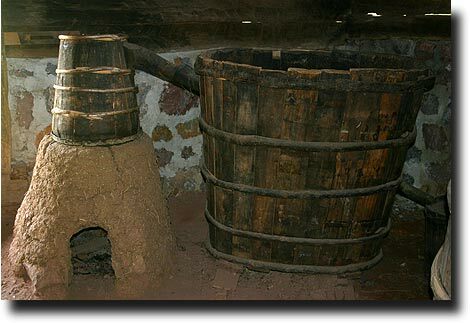 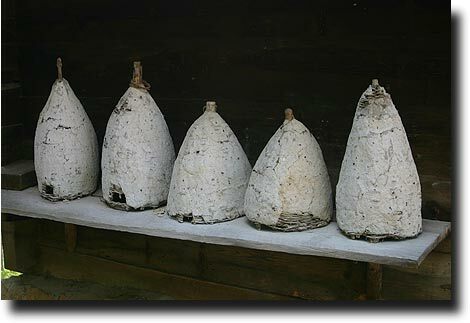 and stills for making homemade rakija. 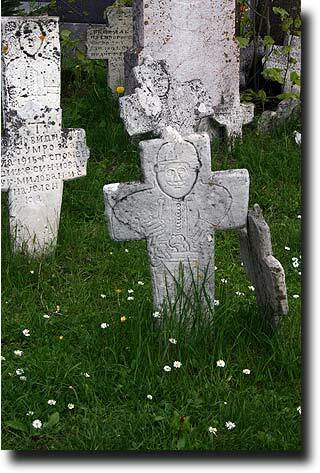 And what would a group of good Serbs be without a church, complete with graveyard dating back to the turn of the century. 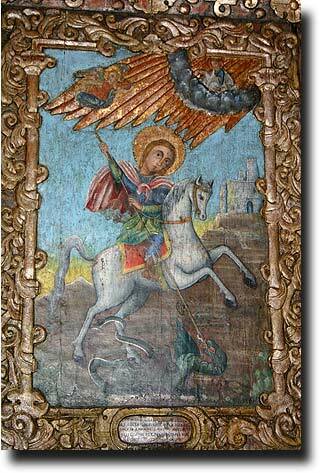 Old icons line the walls, including St. George and other Orthodox saints.